When one talks about Czechoslovakia and Motorcycle in the same breath, the name of CZ JAWA comes to mind. The brand is very much active, thank you but now there is a new brand coming out from the Czech Republic which will make people stand up and notice. 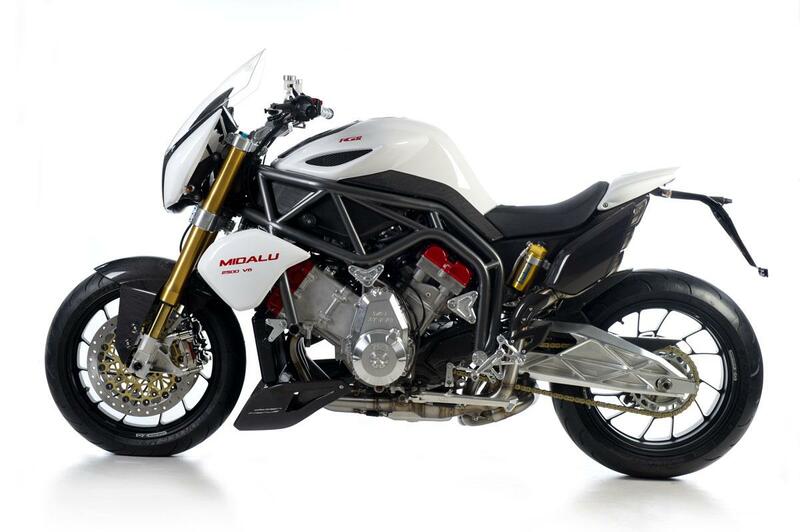 For fans that follow the 125 Moto GP circuit, you might be familiar with the brand name of MIDALU. This brand has a 125 cc Moto GP bike which came out 2 years back and now they are venturing out to the complete other side of the spectrum. 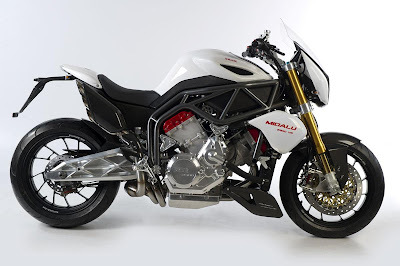 They have come out with a prototype with a V6 engine displacing a humongous 2500cc claiming it to be the world’s most powerful production motorcycle in the world. It is said heavy he feels who wears the crown and so why would a 125cc manufacturer come out with a Boss Hoss kind of a machine? And talking about crown, just last year we saw the Vyrus and Asphalt motorcycles claiming to be ‘Fastest Production Motorcycles’ and now we have the ‘Most Powerful Production Motorcycle’. I believed that crown was held firm by the Munch Mammut, so let us take a peek as what is this about the MIDALU FGR 2500 V6. Midalu is a family-run business in Czech Republic. Miroslav Felgr incepted the idea of producing the biggest displacement bike in a mass production stage back in 2004. 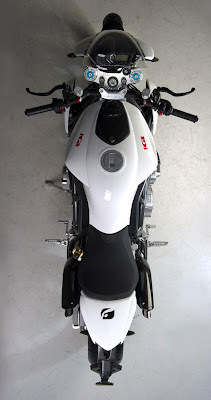 A designer by profession, along with Oldrich Kreuz, he began working on motorcycles in 2005, but he started out with the Moto GP bike, the FGR 125 GP. 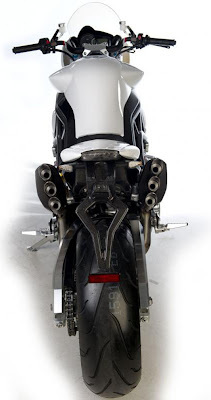 Moto GP bikes are very complicated to make as it involves a huge amount of dynamics and ergonomics to scream at those high speeds. By February, 2007, they had their first motorcycle ready to run. The motorcycle was showcased in the MOTOCYKL 2008 exhibition and in the same event, it was announced that Midalu is planning for a much much bigger bike. 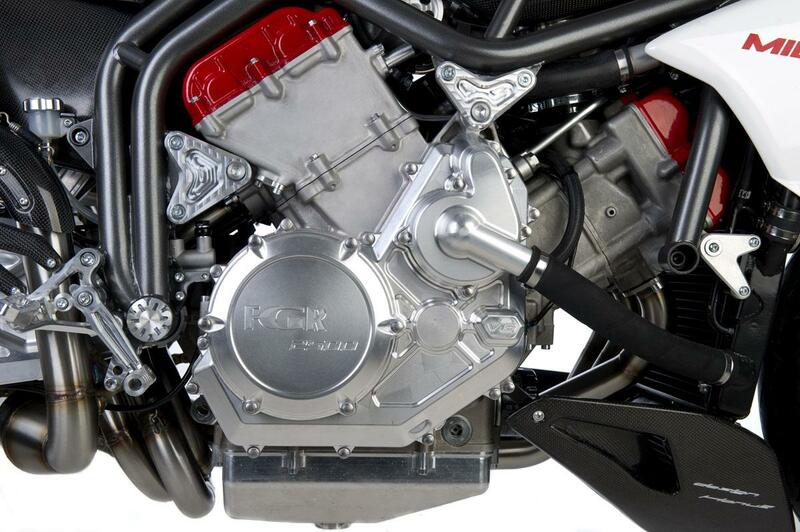 A completion was held for interested designers to design the proposed 2.5 liter engine along with the bike. Out of 45 proposals, 11 were shortlisted for round 2 and finally 3 were selected by February 2009. Stanislav Hanus, Ladislav Skoda and Petr Vanek later joined hands with Hanus, the winner, taking the lead and started working out from base up. It was pre decided as to what they needed to work with in regards to engine size and capacity, so the motorcycle had to be built with that in mind. The frame came first, followed by the forks and things started adding and stacking up on it. Of course the final design saw varied changes and finally everything fell into place last year and they were ready with their first prototype. There, the first Midalu FGR 2500V6 was born. 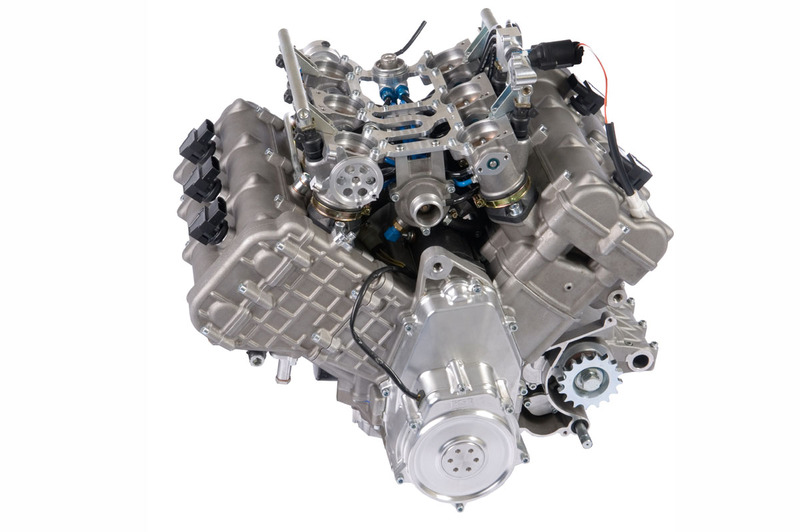 The 2442cc V6 engine is said to belt out 240HP, and something like 150lb/ft of torque. 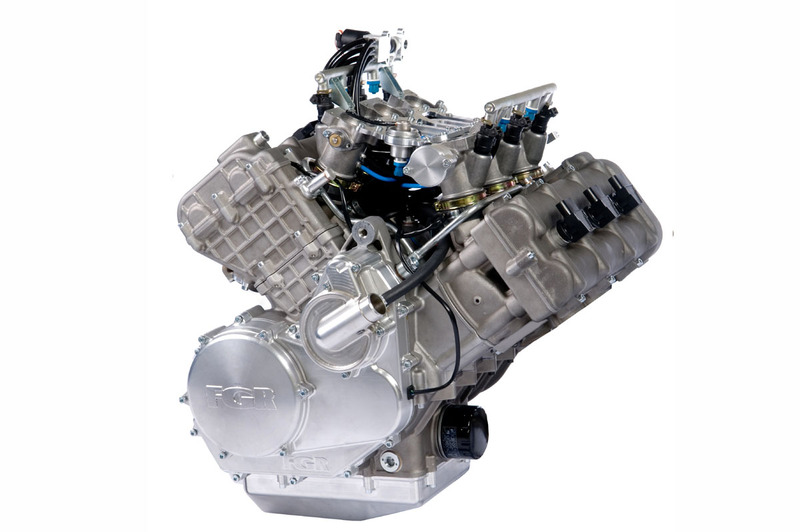 The V-Twin is configured at 90-degree adequately supported with liquid cooling technology. The supposed icing on the cake is the very tempting mileage figures of is 12 to 16km/l depending on how you run the bike. The enthusiasm of the Midalu family is very evident from the displayed prototype. 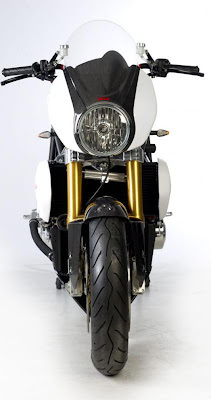 The bike has been designed with the finest materials available in the market. 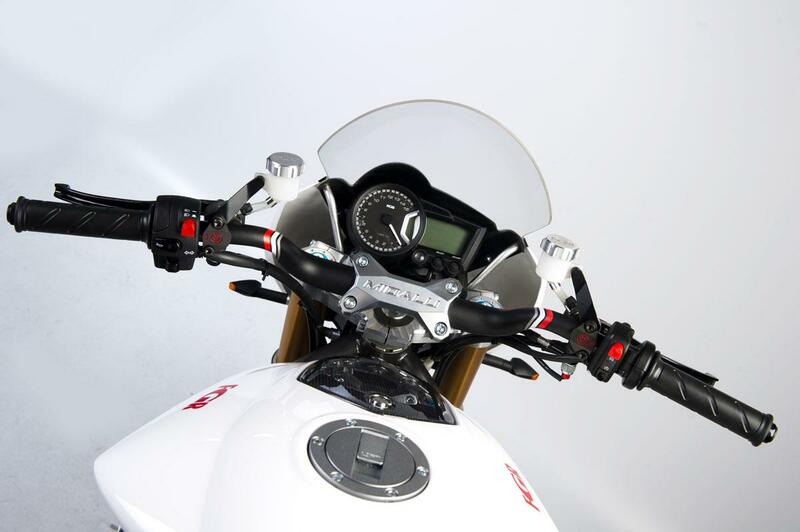 Not only the design and accessories, it has some of the best cutting edge technology to assist many innovations going inside the bike and the engine. 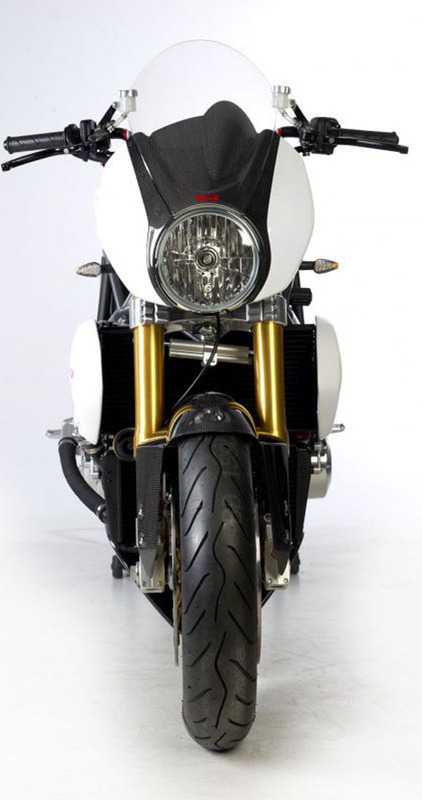 Keeping it naked, which of course highlights the massive engine, the bike has a very clean, yet distinctive look to it. 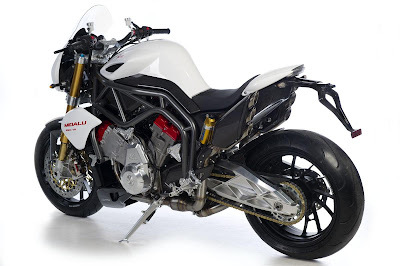 Styling is minimal and with the trellis frame, it will remind you vaguely remind you of a Ducati Monster added with that Ducatisque headlamp, but just that, this is a real big Monster. Interestingly, since the family was not a big name, finance was always an issue when you think about such a big project. So they had approached the Ministry of Industry for grants, initially not for the FGR 2500 V6, but for the FGR125 GP. After listening out, the Ministry not only approved the 125 GP project but also gave the go ahead with the v6 project. The 4-stroke engine, supported by a tubular chassis, has a six-speed gearbox, slipper clutch and carbon tank built into the saddle, with a capacity of 18.5 liters. The 6 cylinders will go through bore and stroke dimensions of 90 x 64 mm with a compression ratio of 9.9:1 to get to those claimed power figures. Dry weight of this beauty is 269 kg. The bike was unveiled mid-January, 2011 and this year, the prototype will undergo track and road testing. Launch of the bike is scheduled for 2012. 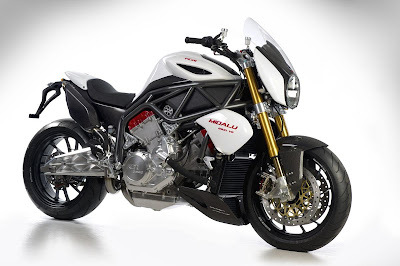 Of course, the bike will have a premium cost and will probably cost anything around 50, 000 USD. Whether the FGR 2500 V6 will be able to beat the 2000cc, 260 hp, 295 Nm, 86mm bore engine of Munch Mammut, we will only get to know it by next year, but rest assured, you will be getting one hell of a hell –ride!